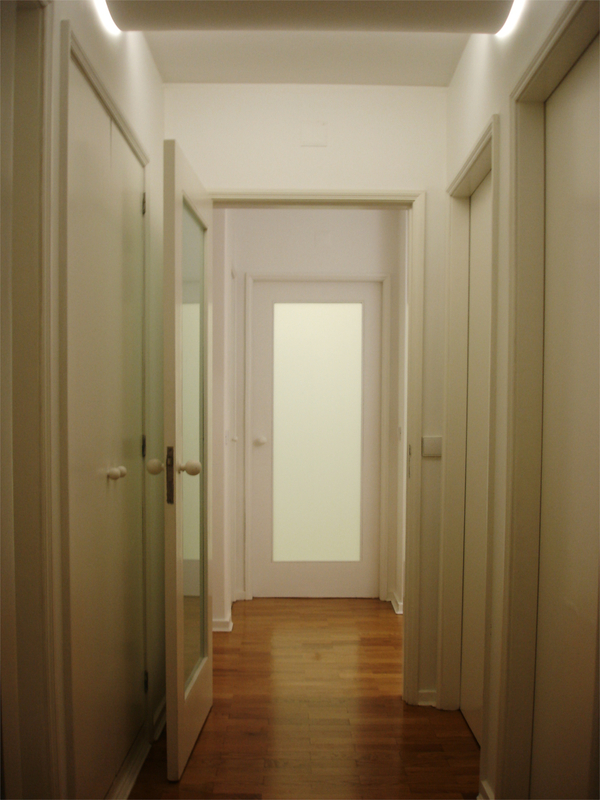 Our architects were hired to design an apartment renovation in the centre of Oporto with a very low budget. Our proposal consisted in a complete painting of walls, doors, rims and baseboards, roof and furniture in absolute white. Therefore, we transformed a series of small and dark spaces into a series of big and bright spaces. The furniture is placed and designed in such way that one cannot recognize the irregularities of the old construction. 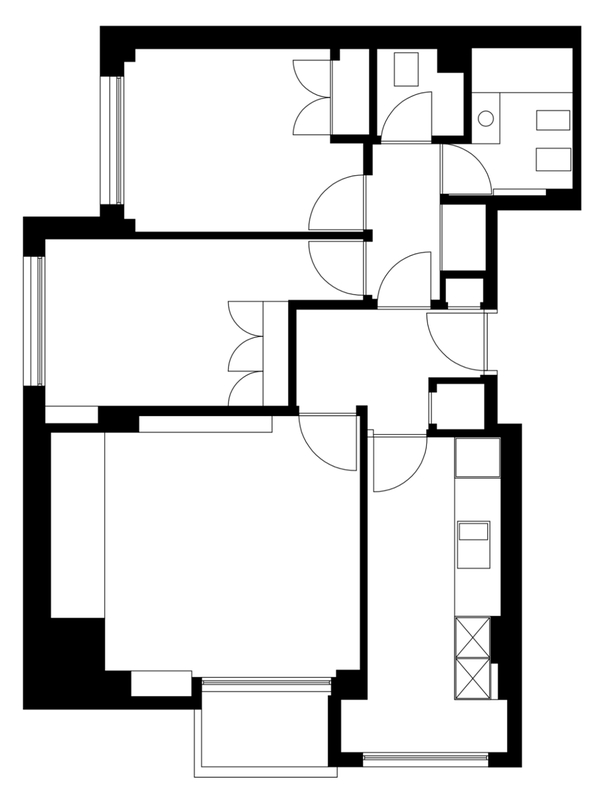 Yes, from the limitations of the old building the modernity of a renovation can also be born.